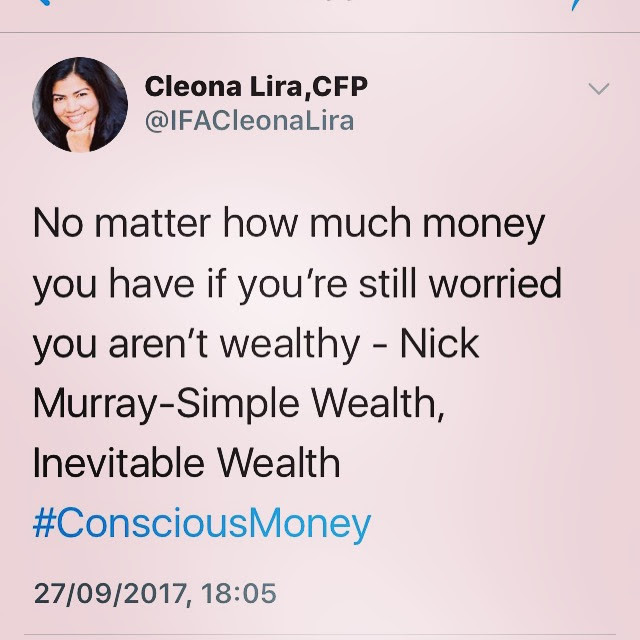 “The mortal enemy of investment success is fear.” - Nick Murray I was fortunate enough to buy Nick Murray’s book The Excellent Investment Advisor early on in my advisory career. It made complete sense to me, stressing the role of an investment adviser as behavioural coach. I recently heard about Simple Wealth, Inevitable Wealth on a podcast with a US-based financial adviser, I bought it - a 1999 copy set me back about £25 and it is worth it! Numerous conversations with clients have convinced me that we have our unique perspectives and biases around investing which influence our decisions. A great investment portfolio needs to have global diversification, asset allocation, low costs, etc. Given a well-constructed portfolio, clients who have the ability to stay detached and take the long-term perspective with patience and discipline can usually achieve greater financial success. Since you are trusting your financial adviser with your wealth and your family’s wealth, technical capabilities and competence can only take you so far. Trusting in your adviser’s judgment is important and so take your time looking for someone you can really trust. Here, he means stocks as an asset class. Important to remember you only invest in stocks if you can stay invested for 5 years or more. If you haven’t ever invested in equity, that would be quite risky behaviour, according to him. I have to agree and love that this is within our control. You can’t control the markets, economic forces of nature or will things to go your way. You can choose how you react to all of it. The cost of your portfolio has a direct effect on the growth of your portfolio - an important factor in portfolio construction. Really enjoyed reading this book & highly recommend!